Each year the association publishes a book of about one hundred pages in French language. 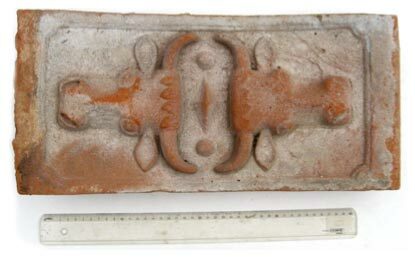 Each brick is 60 cm long and 23 cm wide with a minimum thickness of 8 cm. There were about 190 bricks on the ceiling. The ceiling measured 6.2 mx 4.0 m, i.e. an area of ​​24.8 m². The bricks were laid in the groove of the steel beam and were perfectly joined at the top of the arch. The seal separating each arch top had a thickness up to 1 cm depending on the widths of the more or less regular bricks (figure 34).